It isn't just Halloween causing widespread fear—investors may be scared by deeply reduced guidance from the world's largest company, writes MoneyShow's Jim Jubak, also of Jubak's Picks. Just the old conservative Apple (AAPL) lowball on guidance or a sign of trouble? The market will tell us how it how it sees Apple’s September quarter numbers and its guidance for the December quarter definitively today. Guidance, I’d guess, is going to be the big issue. Apple told investors to expect $11.75 a share for the December quarter, versus the current Wall Street estimate of $15.53. Revenue for the quarter will be $52 billion, the company said, instead of the $54.95 billion Wall Street consensus. But there will be questions about the current quarter as well. The company reported September quarter earnings of $8.67 a share, missing the Wall Street projection of $8.75. Revenue climbed 27.2% year over year to $35.97 billion, a tad above the Wall Street consensus of $35.78 billion in revenue. Apple sold 26.9 million iPhones in the quarter—that was better than the Wall Street estimate of 25 million. But sales of 14 million iPads were below analyst estimates of 17 million, and the sale of 4.9 million Macs in the quarter lagged Wall Street’s consensus of 5 million. Gross margins of 40% in the quarter trailed the Wall Street consensus of 40.6%, but were significantly above the company’s own guidance for 38.5%. Full disclosure: I don’t own shares of any of the companies mentioned in this post in my personal portfolio. 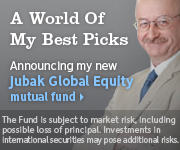 The mutual fund I manage, Jubak Global Equity Fund, may or may not now own positions in any stock mentioned in this post. The fund did own shares of Apple as of the end of the June quarter. For a full list of the stocks in the fund as of the end of June see the fund’s portfolio here.